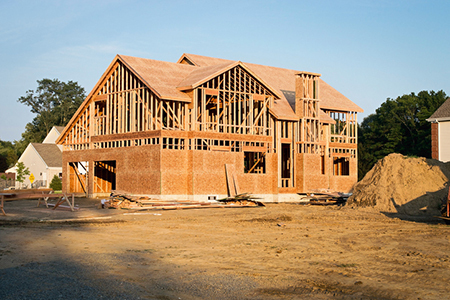 February’s home-building receded, with housing starts softening 7 percent and totaling 1.24 million, according to the latest data from the U.S. Census Bureau and the Department of Housing and Urban Development (HUD). Notably, single-family starts increased 2.9 percent to 902,000. Multifamily starts (five units or more) came in at 317,000. The decline is a departure from January, when groundbreaking soared some 10 percent. “The fall in housing starts in February is a movement in the wrong direction,” said Lawrence Yun, chief economist of the National Association of REALTORS® (NAR), in a statement. “The key to economic prosperity at this juncture of economic expansion is to produce more new homes. That will help with job creation and reduce the swift price appreciation in several markets. Approvals for builds fell, as well, 5.7 percent from January to 1.3 million permits, according to the data. Approvals for single-family starts were down 0.6 percent, to 872,000 permits, while approvals for multifamily starts came in at 385,000. Completions kicked up, however: 7.8 percent to 1.32 million. Completions for single-family units totaled 895,000 (up 3 percent), while completions for multifamily units totaled 418,000.